Getting married in 2016/17 pre nup advice on pensions for young couples has become really important following the 2016 Budget announcement of the new lifetime ISA for those under 40. A significant and flexible asset can be built up with government incentives between the ages of 40 and 50 from April 2017. If you plan to marry and want the benefits of this new asset for a pension or to buy a house, Northwich solicitors Stonehewer Moss recommend that you consider a pre nup before the wedding day. 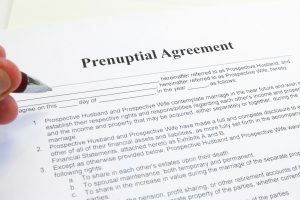 With the divorce court in the future having potentially valuable assets to play with that past generations did not have to worry about, a pre nup gives you the opportunity to bring some clarity to your matrimonial assets and intentions as regards assets you bring to the marriage or intend to develop in the early years of the marriage. Stonehewer Moss offer special price packages for pre nups and wills drafted in anticipation of marriage. This article was added on Thursday, March 24th, 2016 at 3:18 pm and is categorised under Cheshire News, Chester News, Divorce, divorce finances, Family finances, Macclesfield News, prenups, Runcorn News, St Helens news, Warrington News, Widnes News, wills. Both comments and pings are currently closed. Error: Error validating access token: Session has expired on Saturday, 09-Mar-19 13:12:58 PST. The current time is Wednesday, 24-Apr-19 19:58:28 PDT.